This month, as we remember all those dearly departed we have lost, and as the full moon rises high to the zenith above the Maya world, I wanted to celebrate a shining light of new undertakings this year by publishing a detailed report from Juan Rodrigo Guarchaj, the Executive Director of the Proyecto Lingüístico Francisco Marroquín, regarding the First Pre-Congreso of Ancient Maya Writing that took place this past July 11-14 in Cobán, Alta Verapaz, Guatemala. This was the first of four such events in 2017 designed to reach out to additional Maya communities who have not yet taken part in the revitalization of the hieroglyphic script. 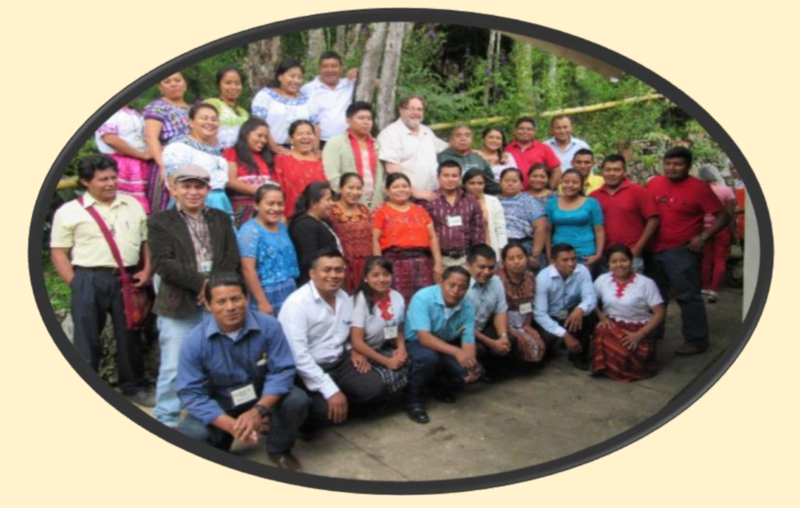 This first event in Cobán was able to reach speakers of ten different Mayan languages, while two additional pre-Congreso events in Huehuetenango and Takalik Abaj followed in October, reaching out to additional Maya communities and teachers. This first event, along with an upcoming event to take place this month in Chiapas, was supported in part by MAM, with much thanks to our generous supporters, along with the Academia de Lenguas Mayas de Guatemala, the Guatemala Ministerio de Cultura y Deportes, and the PLFM. While MAM was regretfully unable to fund all of these new events, we are very glad to have been able to lend our support where our budget allows, and we are thrilled to see our Maya colleagues organizing and procuring funding for these larger events, with the admirable goal of reaching additional Maya communities. We will be working together with the PLFM among others to invite all of these new Maya teachers to apply for our next round of mini-grants, and we hope to meet them all at the next International Congreso next summer! 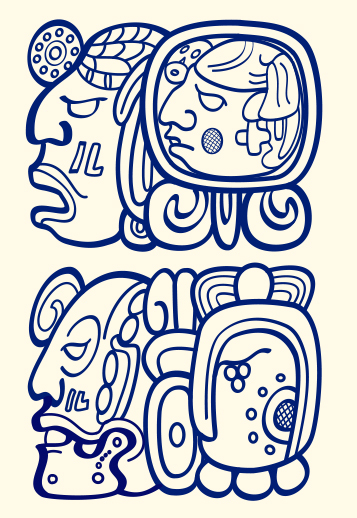 We applaud the wonderful hard work of Juan Guarchaj, Ajpub’ Pablo García, and our many May colleagues who are seeking to connect together the many different international Maya language communities through the shared heritage of the Maya hieroglyphic script. This December and January, I am planning a trip to Guatemala and Belize, where I am helping to organize a workshop for Belizean Maya Aj Tz’iib’, and working with our various Maya colleagues to plan for the upcoming Congreso and the coming years ahead. I am looking forward to the trip, and to reporting back to all of you with news of our future plans. Chak’ama’ jun rutzil awach, kweye’j chi ri loq’olaj Uk’u’x Kaj Uk’u’x Ulew katutewechi ́j, xuquje’ kuk’am ub’e’al ucholajil ri nimalaj chak patan kab’an pa kiwi’ ri e qawinaqil. (K’iche’ Maya Language). Please receive a brotherly greeting, hoping that the Creator and Shaper is pouring blessings and positive energies upon you, in the same way that guides you in each of your activities that you perform to strengthen the actions you take in the guidance of your position. Pre-Congreso Workshop Commission of 2017 would like to present to MAM our deep appreciation for the financial support shown in the execution of the First Pre-Congreso Workshop for Ojer Maya Tz’iib’ held on 11, 12, 13 and 14 of July in Cobán, Alta Verapaz. We would like to present our narrative and financial report, with satisfaction from the participants, especially as they have achieved the objectives set out in promoting this practice of raising awareness of Maya-speakers towards a critical thinking in the discussion of proposals and alternatives in the vindication of culture, at the same time on the part of the participants taking a commitment to promote and spread the culture focused on ensuring the recovery and use of knowledge, because only by knowing our past and present reality can we contribute to our future. We value the support of other state entities such as the Ministry of Culture and Sports and the Academy of Mayan Languages of Guatemala, united in a single goal we have been able to carry out this task, which is reflected in our report; At the same time we take the opportunity to request the use of a portion of the remaining funds for the next workshop, and continue to count on your support in the realization of the other workshops to be held this year. We hope to hear from you regarding any of your concerns, assuming your availability for any communication and/or extension to this report. Group of participants in the event, from different Mayan linguistic communities.